Goodbyes are never fun, and we always get a little bit sad when one of our POP-UPS comes to an end. But there's still time to come see us this weekend, snap up some amazing new goodies (and new mark-downs!) and say goodbye for now *sob*. 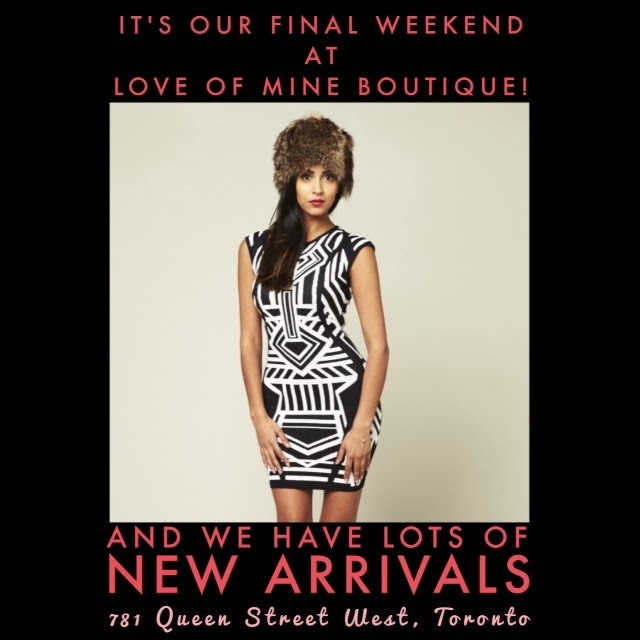 We will be here at 781 Queen Street West until this Sunday at 6! Hope to see you soon! And if you can't make it down, remember, you can always shop us on the interwebs!